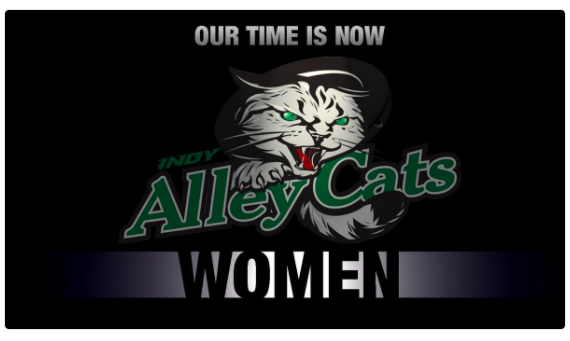 Without explanation, the Indianapolis Alley Cats followed in the footsteps of Detroit and Nashville by announcing, presumably, of rostering a women's team. No word on a start date, a playing schedule, or tryouts for the "Women" Alley Cats. The Indianapolis Alley Cats - an original AUDL team since the 2012 season - finished 4th in the Midwestern Division in 2017 with a (5-9) record; three (3) of their five (5) wins last season were against the Detroit Mechanix. 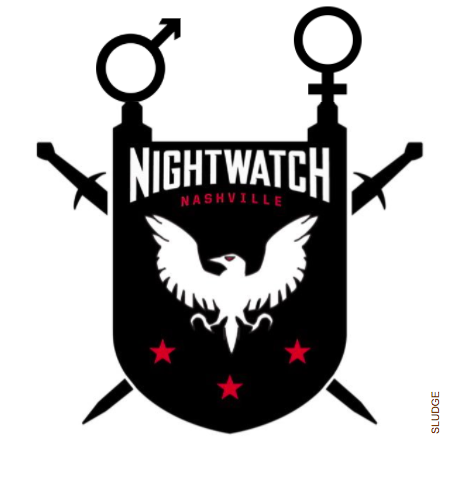 The Nashville NightWatch announced their own women's "professional" team in a press release titled, "The Future is Women." 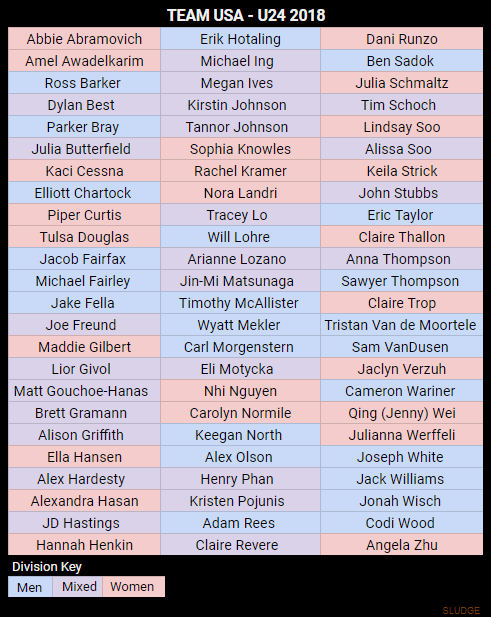 The Nashville American Ultimate Disc League team indicates a tentative schedule and reveals the team name. The Nashville NightWatch is proud to announce, with the support of NUM (Nashville Ultimate Machine), the inaugural season of our women's professional team, The Nashville NightShade! After meaningful conversations with our female ultimate community about gender equity and discussions with other ultimate leaders around the country, we have decided to launch a women's team at the highest level. We do have a tentative schedule in place for our team and will be announcing that once it has been finalized. Tryouts will take place in Nashville at the Vanderbilt Fieldhouse on February 24th. We will have a link for registration very soon. We want to commend the efforts of the AUDL with the announcement of the EuroStars Tour Partnership. 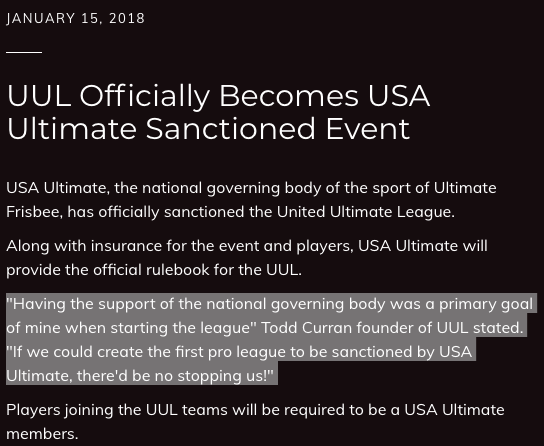 It's a great step for the AUDL. We will take another step in offering a chance for women's ultimate to gain more exposure and a unique opportunity to play ultimate professionally. 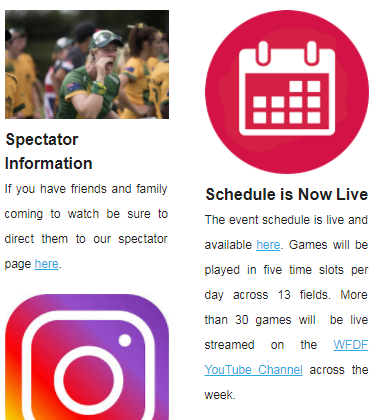 We will provide our women's team with similar benefits, which include venues, travel expenses, coaching, and live-streaming of all our women’s ultimate games. The NightWatch went winless in the 2017 AUDL season in the South Division. The Detroit Mechanix recently made a similar announcement this week. 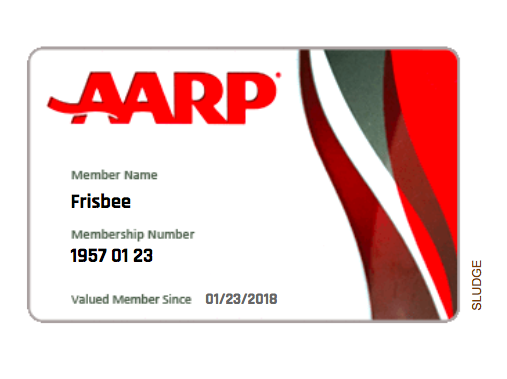 While the Frisbee's Birthday is typically celebrated today, the historically accurate celebration should be the contract between the Morrisons and the toy manufacturer on January 23, 1957. 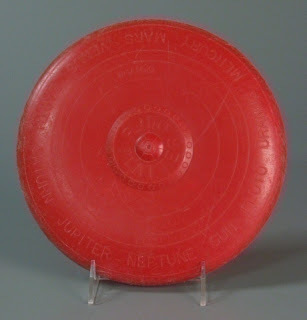 The "plastic flying saucer type toy" in the 1957 contract (above) and 1957 toy catalog was not called a Frisbee yet; it was called the Pluto Platter. The plastic flying saucer type toy would later be renamed after the Frisbie Baking Company as "Frisbee" - a name the inventor Fred Morrison is quoted as saying: "I thought the name was a horror. Terrible." The Detroit Mechanix just announced they will support a Detroit Mechanix women's team during the 2018 American Ultimate Disc League season. Tryouts are this Saturday, January 27. 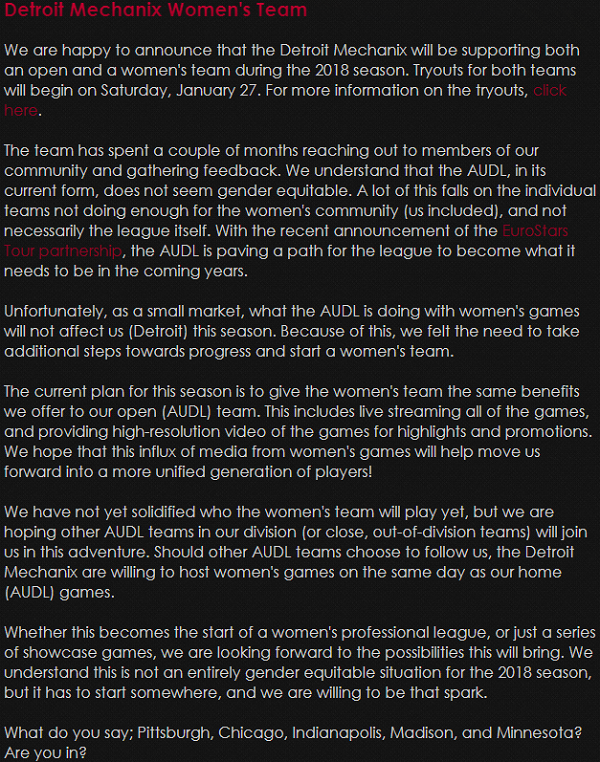 The current plan for this season is to give the women's team the same benefits we offer to our open (AUDL) team. This includes live streaming all of the games, and providing high-resolution video of the games for highlights and promotions. We hope that this influx of media from women's games will help move us forward into a more unified generation of players! 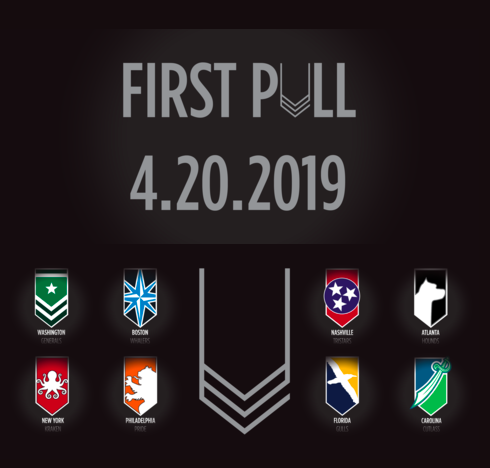 We have not yet solidified who the women's team will play yet, but we are hoping other AUDL teams in our division (or close, out-of-division teams) will join us in this adventure. 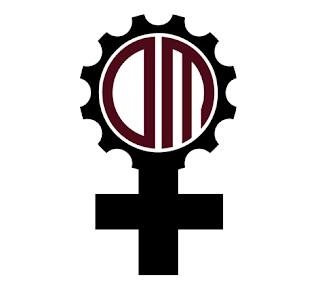 Should other AUDL teams choose to follow us, the Detroit Mechanix are willing to host women's games on the same day as our home (AUDL) games. Detroit Mechanix are an original AUDL team since the inaugural 2012 season. The Mecahnix have a mascot named Rusty and a dance team called the "Maximum Intensity Dancers." In the 2017 season Detroit finished in last place in the Midwest Division with a (1-13) record. 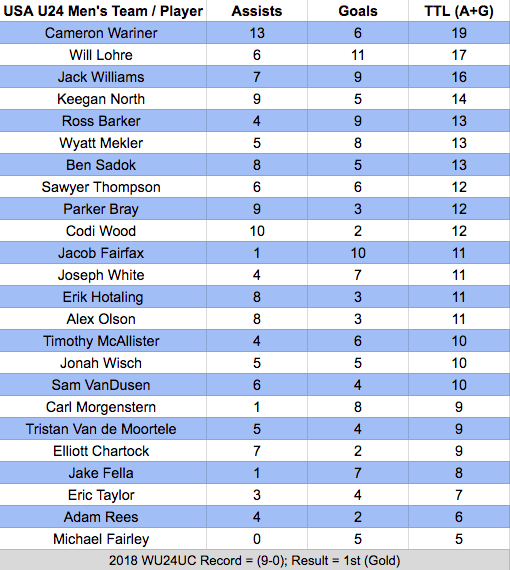 Congratulations to all U.S. National Ultimate Team players, coaches and staff involved with winning a combined 3 gold medals. 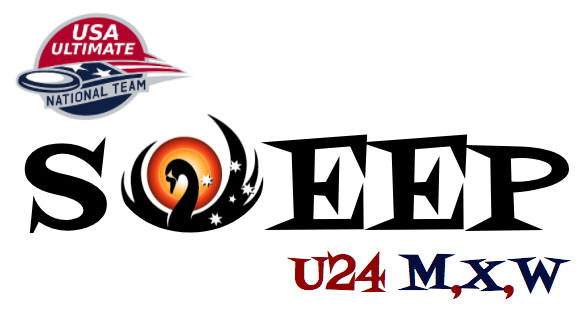 Of the 20 countries competing in Perth at the U24 Ultimate Championships, seven (7) different countries have advanced to the semi-finals of their divisions. Of note, Italy (Men) is the only country to advance to the semifinals that did not have teams represented in other divisions. 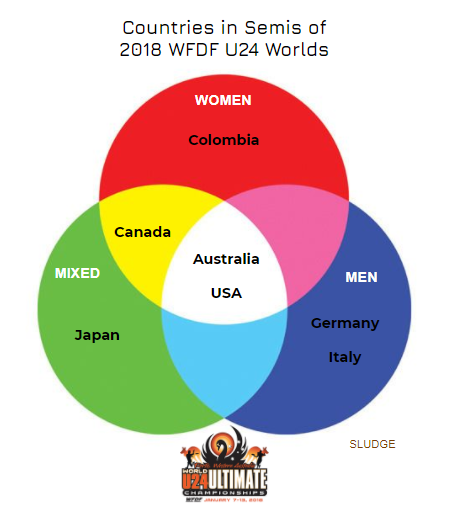 There are 20 different countries - 41 total teams - represented at this year's WFDF World Under-24 Ultimate Championships across the 3 competitive divisions. 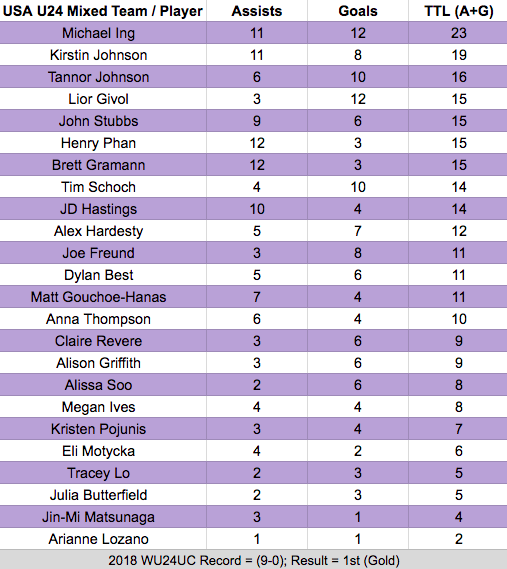 The divisional breakdown is: sixteen (16) in men's; fourteen (14) in mixed and eleven (11) in women's division. Nine (9) countries are represented in all 3 divisions; three (3) countries have 2 teams and eight (8) countries have 1 team. 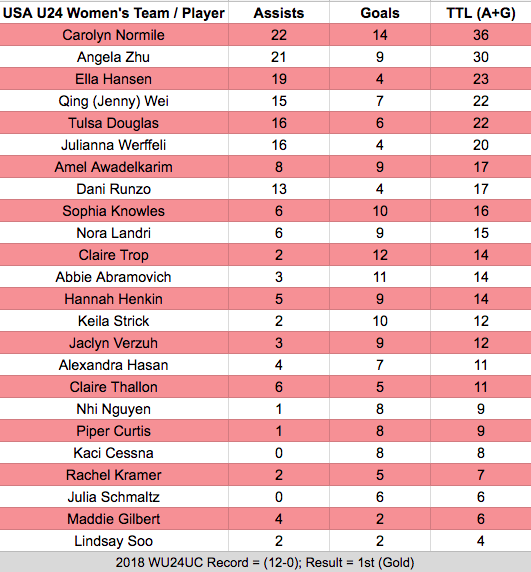 Of the countries with one team at U24 Worlds, four (4) are in the men's and4 are in the mixed division; there are no countries with represented by only a women's division team. 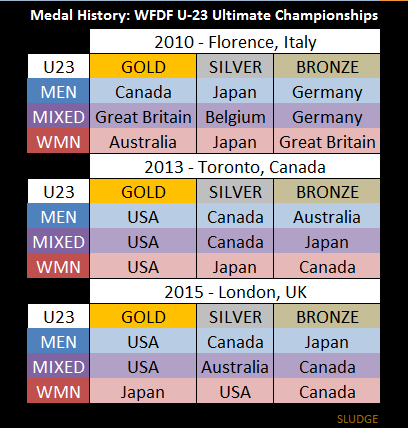 Overall, seven (7) different countries have ever medaled at the three (3) WFDF's World Under-23 Ultimate Championships. 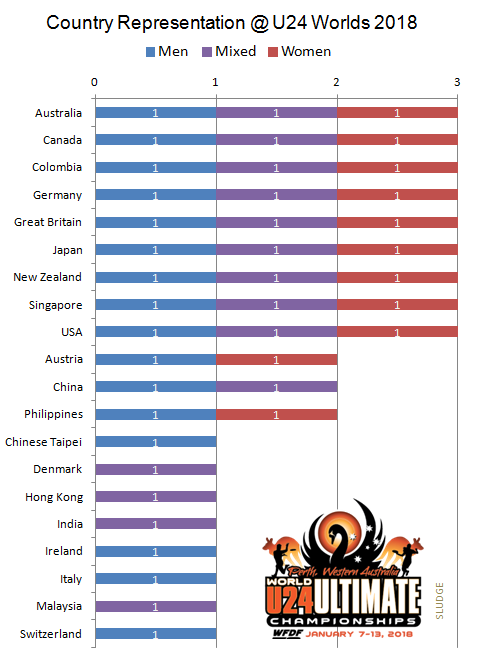 NOTE: USA did not compete at the 2010 event. 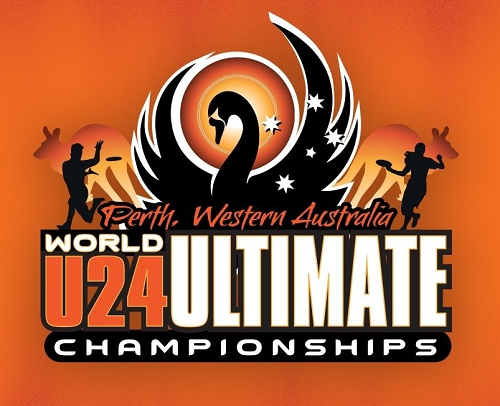 The next edition of the Under-24 (FKA Under-23) World Ultimate Championships starts on Sunday in Perth, Australia. Previous tournaments have been hosted in Florence, Italy (2010); Toronto, Canada (2013); and London, UK (2015). 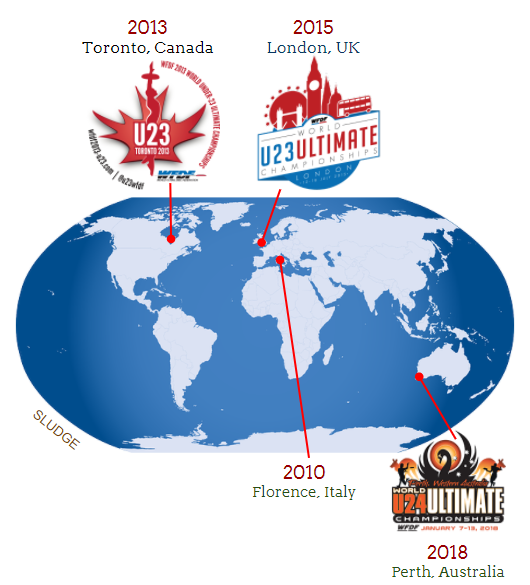 USA Ultimate announced the 2018 dates and a new location for the Masters Division Championships. Coincidentally, the 2015-2017 Masters Championships was held in Aurora, COLORADO. In 2018, the Masters Championships will be held in Aurora, ILLINOIS. Aurora is the second most populous city in the state of Illinois and its the nickname is the "City of Lights" because it was one of the first cities in the United States to implement an all-electric street lighting system in 1881. Per USAU: The Masters Championships will be held at the Stuart Sports Complex in Aurora, Ill., 40 miles west of Chicago, July 20-22, 2018. Ultimate Chicago, the Aurora Area Sports Alliance and the Aurora Area Convention and Visitors Bureau will serve as the local organizing committee (LOC) for the event. 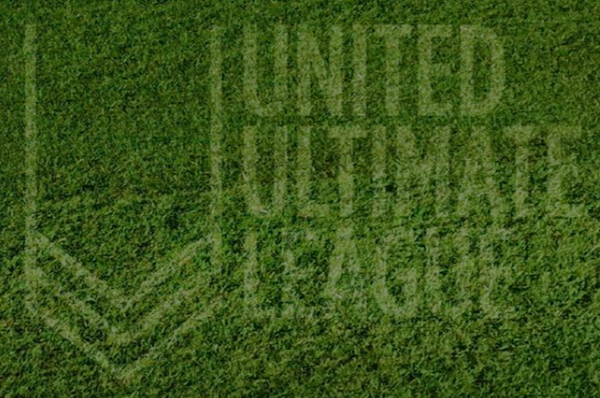 Ultimate Chicago also served as the LOC for the National Championships held in Rockford in 2016.